Hey, Greenpoint! I know you’re always looking for that history fix, and North Brooklyn has you covered. There are several wonderful history events coming up this weekend and in the next few weeks! But, at any time, our lovely little ‘nabe is jam-packed with fabulous institutions where you can dive into an exploration of what has shaped our city, from sugar, to garbage, to oysters! The array is so gloriously wide, it helps remind us that everything is history, and there’s a history of everything! Perhaps the best place to learn about “the history of everything” in New York City, is our very own City Reliquary (370 Metropolitan Avenue). The museum’s collection of artifacts and ephemera includes everything from vintage seltzer bottles to Dodgers fan merchandise and memorabilia from the 1939 World’s Fair. The museum also features community collections and rotating exhibits. The current exhibit, NYC Trash! : Past, Present and Future, is on view until April 29, 2018. The Reliquary will host a screening of the film Canners THIS SATURDAY 1/27 @ 7pm. The next day, head over to The Williamsburg Art and Historical Center (135 Broadway). 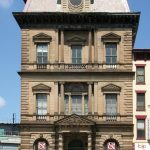 The museum is housed in the landmarked Kings County Savings Bank Building, and has been supporting arts and culture in Williamsburg since 1996. The 19th Annual Salon Show is on view until February 18, 2018. THIS SUNDAY 1/29 @ 2pm Salon Members will hold special travel presentations. 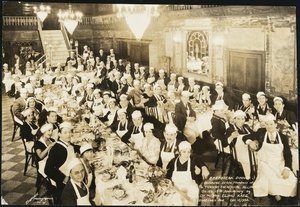 When it comes to food history in Brooklyn, one product was king of them all. 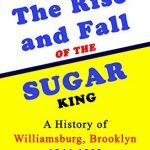 Geoff Cobb has the not-so-sweet story of Sugar King Henry Havemeyer in his New Book, Sugar King: A History of Williamsburg Brooklyn 1884-1808. You can catch a reading THIS MONDAY 1/29 @ 7pm at Warren Lewis Sotheby’s International Realty (299 Bedford Avenue). 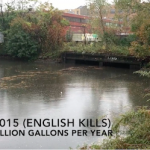 The Newtown Creek Alliance offers guided tours through the Newtown Creek watershed that focus “on the rich history, industrial use and environmental challenges in the area.” If you’d like to organize a tour, you can sign up here. If you really want to get down and dirty with Newtown Creek, consider a tour of the Digester Eggs at the Newtown Creek Wastewater Treatment Plant! Tours are offered 3 times a year, and the next one is coming up on February 10th! Tours meet at 329 Greenpoint avenue, and registration opens about two weeks prior to the event. Find more information here.